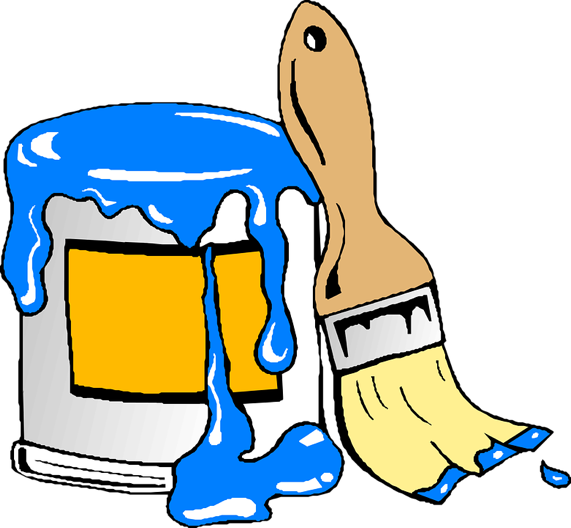 On March 15, the EPA issued a final rule to prohibit the manufacture (including import), processing, and distribution of methylene chloride in all paint removers for consumer use. EPA is required to take this action under the Frank R. Lautenberg Chemical Safety for the 21St Century Act because of the acute fatalities that have resulted from exposure to the chemical. “This rule answers calls from many affected families to effectively remove these products from retail shelves and retail distribution channels, providing protection for the American public,” said Assistant Administrator for Chemical Safety Alexandra Dunn. In the final rule, EPA found risks to consumers to be unreasonable. Acute (short-term) exposures to methylene chloride fumes can rapidly cause dizziness, loss of consciousness, and death due to nervous system depression. People have died after being incapacitated during paint and coating removal with methylene chloride. A variety of effective, less harmful substitutes are readily available for paint removal. Paint removal products containing methylene chloride will not be able to be sold at any retail or distribution establishments that have consumer sales, including e-commerce sales. Those prohibitions start 180 days after the effective date of the final rule, which provides time for establishments selling this chemical to consumers to come into compliance with EPA’s ban. EPA expects that many suppliers will implement the rule much sooner. To the extent that consumers want to avoid the unreasonable health risks, consumers should not use methylene chloride for paint and coating removal. EPA is also requiring manufacturers, processors, and distributors to notify retailers and others in their supply chains of the prohibitions and to keep basic records. Once published, the final rule and supporting documents will be available in the Federal Register docket at: https://www.regulations.gov/ and by searching for EPA-HQ-OPPT-2016-0231. EPA is soliciting public input for a future rulemaking that could establish a training, certification, and limited access program for methylene chloride for commercial uses. EPA is asking for input on the key elements required for such a program. Upon publication in the Federal Register of the Advance Notice of Proposed Rulemaking (ANPR), EPA will accept public comments for 60 days in docket EPA-HQ-OPPT-2018-0844 on www.regulations.gov. On March 13, EPA announced receipt of its one millionth e-manifest, saving valuable time, resources and dollars for industry and states. In June 2018, EPA transitioned from a paper-intensive tracking process to an electronic system, known as “e-Manifest.” By the end of February, over 1 million electronic manifests have been submitted by industry and state users. EPA estimates that e-Manifest will ultimately reduce the burden associated with preparing shipping manifests by between 300,000 and 700,000 hours, saving state and industry users $75-$90 million annually, once electronic manifests are widely adopted. The agency’s hazardous waste tracking system helps to ensure that all federally regulated hazardous waste is handled in a way that protects public health and the environment from the point where it is generated, through its transportation routes, to the place of final treatment, storage or disposal. Every year, over six million shipments of hazardous waste crisscross the United States – moving from manufacturing sites to the waste management companies that safely treat, store and dispose of the waste. For over 30 years, the process of tracking these shipments was done using a cumbersome six-copy paper form. Under the paper system, the amount of paper generated during one month of traffic would exceed the height of the Washington Monument. Because these manifests are now housed in EPA’s e-Manifest system, regulated entities no longer need to store and distribute this paper. The potential for integrating manifest reporting with Resource Conservation and Recovery Act biennial reporting process and other federal and state information systems. 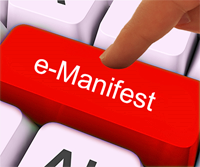 Learn more about how to begin using the new e-Manifest. used in air quality construction permits (CP) and air quality operating permits (OP). These changes are intended to unify permit conditions and streamline the CP and OP permitting processes. Comments received during the period will be considered by NDEQ as the agency implements the new standardized air quality permit Conditions I and II. NDEQ is also scheduling a public meeting at 1 p.m. March 26 for anyone interested to meet with NDEQ staff to discuss and ask questions about proposed changes to the conditions. The meeting location is the NDEQ offices located in the 4th floor of the Atrium Building at 1200 N Street, Lincoln, Nebraska. Comments from interested parties must be submitted by April 18, 2019 via email at ndeq.airquality@nebraska.gov or by mail submitted to the attention of David Christensen, NDEQ Air Quality Division, P.O. Box 98922, Lincoln, Nebraska 68509-8922. EPA announced enforcement actions involving $530,199 in fines and over 10,000 engines and vehicles imported into the United States. These actions are the result of on-going joint operations between EPA and the U.S. Customs and Border Protection (CBP) at the ports of Los Angeles and Long Beach to identify foreign-made engines and vehicles that lack proper emission controls, including ATVs, motorcycles, and construction equipment. Piaggio, located in New York, New York, imported 5,009 motorcycles, including from Vietnam and China, that contained catalysts that did not conform to the description as certified by EPA. The company was required to pay a $240,000 penalty. Value Group, located in Norwalk, California, imported 108 motorcycles from China that contained catalysts not matching their description as certified by EPA. The company shipped the motorcycles out of the U.S. and was required to pay a $50,000 penalty. 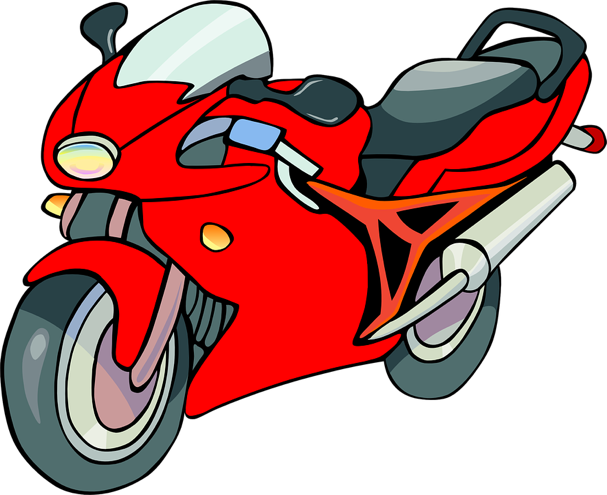 Yamazuki, located in Ontario, California, imported 213 highway motorcycles, off-highway motorcycles and ATVs from China into the ports. The vehicles contained catalysts not matching their description as certified by EPA. The company shipped the vehicles out of the U.S. and was required to pay a $50,000 penalty. BV Powersports, located in Carrollton, Texas, imported 171 motorcycles from China that contained catalysts not matching their description as certified by EPA. The company shipped the motorcycles out of the U.S. and was required to pay a $13,000 penalty. BMS Motorsports, located in Riverside, California, imported 13 ATVs from China that contained catalysts not matching their description as certified by EPA. The company shipped the ATVs out of the U.S. and was required to pay a $10,000 penalty. EPA has been conducting regular inspections with CBP at California ports of entry since 2014, where more than 40 percent of containerized goods come into the U.S. EPA and CBP’s focus has been on engines, vehicles, and pesticides. Mobile sources, such as on-road and off-road vehicles, are one the largest sources of air pollution in California and account for approximately 20% of PM2.5 (fine particulate matter up to 2.5 microns in diameter) and 83% of nitrogen oxide emissions. The Clean Air Act prohibits the importation or sale of any new engines or vehicles unless they are certified by EPA to meet federal emission standards. An EPA-issued certificate of conformity must cover every vehicle and engine sold in the U.S. To obtain a certificate of conformity, manufacturers or importers must submit an application to EPA that describes the engine or vehicle, including its emission control system. 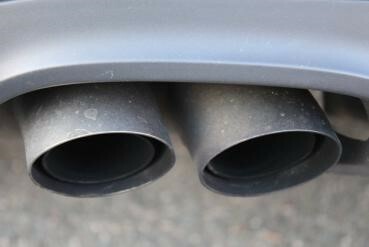 The application must also provide emissions data demonstrating that the engines and vehicles will meet applicable federal emission standards. For more information about importing vehicles and engines into the United States, see: http://epa.gov/otaq/imports/index.htm. 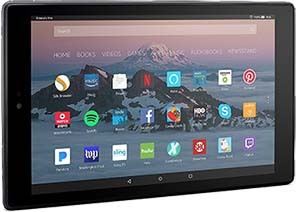 Electronic gadgets increasingly are becoming indispensable. Smart thermostats learn when to turn up the heat, sensors set off alarms when windows are opened, and cell phones keep people connected. In the coming internet of things, more and more of these items will be connected wirelessly to the internet, communicating to each other and performing the functions of everyday life. Most of these gadgets run on batteries, but they need to be replaced and can be bulky. Solar power is a possible alternative, but the sun doesn’t always shine when devices need to work. Artificial room lighting, however, is all around — in homes, schools, offices, stores — and can be controlled on demand. To put room lighting to work, Ryota Arai, Takuma Yasuda and colleagues turned to organic photovoltaics (OPVs), which are light, flexible and transparent. The US Attorney’s office in Massachusetts has filed a civil complaint alleging that the City of Quincy is violating the Clean Water Act by discharging sewage and untreated wastewater into the Boston Harbor, Dorchester Bay, Quincy Bay and other waterways from the City’s sanitary sewer and storm drain systems. “The Clean Water Act is designed to protect the waters of the United States for the health and enjoyment of its citizens. This complaint demonstrates our commitment to ensuring that our waters and beaches are protected from discharges such as raw sewage and seeks to require that the City of Quincy take the important and necessary steps to do so,” said United States Attorney Andrew E. Lelling. The Clean Water Act provides for monetary daily penalties of $37,500 for each violation that occurred on or before Nov. 2, 2015, and $54,833 for each violation occurring after Nov. 2, 2015. The complaint seeks the recovery of penalties and requests that the Court permanently enjoin the City from future violations of the Clean Water Act. EPA has focused enforcement and compliance resources on the most serious environmental violations, including keeping raw sewage and contaminated stormwater out of our nation’s waters. The United States Attorney’s Office, working with the Department of Justice’s Environment and Natural Resources Division, filed the complaint on behalf of the U.S. Environmental Protection Agency (EPA) as part of that effort. Raw sewage overflows and inadequately controlled stormwater discharges from municipal sewer systems introduce a variety of harmful pollutants, including disease causing organisms, metals and nutrients that threaten our communities’ water quality and can contribute to disease outbreaks, beach and shellfish bed closings, flooding, stream scouring, fishing advisories and basement backups of sewage. U.S. Attorney Lelling and EPA Acting Regional Administrator Szaro made the announcement on March 15. The case is being handled by Assistant U.S. Attorney Susan M. Poswistilo of Lelling’s Civil Division. Proposed updates to Washington State Department of Ecology’s Wastewater Operator Certification Program reflect new treatment technologies, create opportunities for professional growth, and establish a new fee schedule. 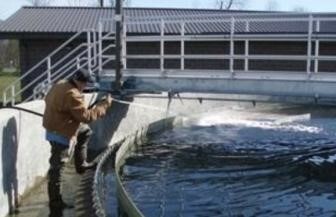 The state’s approximately 2,000 wastewater treatment plant operators play a vital role in protecting public health and clean water from the contaminated wastewater that leaves homes and businesses. Ecology’s program ensures operators are properly trained to keep treatment facilities running smoothly. The program evaluates required education documents and operator certification applications, reviews training programs, oversees the annual renewal process, and revokes certifications when necessary. By law, certification fees are required to fully fund the program. Clarifying and reorganizing rule language where needed. Certification fees have been capped in law since the 1980s. Legislation passed in 2018 mandated Ecology establish a fee schedule for the program. The proposed fee structure reflects feedback from the Rule Advisory Committee, which includes certified operators across the state. As proposed, the fees will increase in phases and application fees are lower for entry level positions. April 23 in Lacey at 1:30 p.m.
April 23 via webinar at 6 p.m.
April 25 in Moses Lake at 10 a.m.
Additional information on the proposed updates and public hearings is available on the rulemaking page. General information on the Wastewater Operator Certification Program is available on the Operator Certification Program website. Fiat-Chrysler of America (FCA) announced a recall of more than 850,000 gasoline-powered passenger cars and SUVs due to a problem with their catalytic converters. The recall was announced after an investigation by the California Air Resources Board (CARB) and theEPA. There are about 50,000 of these vehicles in California. In most of the country this is a voluntary recall. But in California, drivers who fail to get the necessary repairs will not be able to register their vehicles. FCA is recalling these vehicles because they emit NOX above regulatory limits. FCA’s own data and test results confirmed that the catalytic converters in these vehicles were malfunctioning. CARB testing helped the company find the appropriate solution to the problem. NOX emissions in California are the most important contributor to ambient ozone and a key contributor to fine particulate matter pollution (PM 2.5) which is associated with premature death, asthma emergency room visits, increased hospitalizations due to exacerbation of chronic heart and lung diseases, and other serious health impacts. California is home to both the highest ozone levels (South Coast) and ambient particulate matter levels (San Joaquin Valley) in the United States. Approximately 10 million Californians live in communities that exceed the federal ozone and particulate matter ambient air quality standards that were put in place to protect public health. Owners will be notified by FCA to bring their individual vehicles in during these periods. The New Mexico Environment Department (NMED) issued a Notice of Violation to Hilcorp Energy Company for violations of the state’s Air Quality Control Act. NMED joined the EPA in putting Hilcorp on notice for these violations. In February 2018, Hilcorp Energy Company violated both state and federal air quality laws by improperly controlling emissions from one of its wells in the San Juan Basin. Under New Mexico’s Air Quality Control Act and federal regulations, natural gas released during hydraulic fracturing must be captured and not wasted. Failure to comply with these provisions of state and federal air quality laws can lead to uncontrolled emissions of volatile organic compounds (VOCs), which contribute to the formation of ground-level ozone and hazardous air pollutants (HAPs). A collateral benefit of complying with these laws is the reduction of methane emissions. Methane, the key constituent of natural gas, is a potent greenhouse gas with a global warming potential more than 84 times greater than that of carbon dioxide, according to the Intergovernmental Panel on Climate Change. A primary source of methane emissions in New Mexico comes from the production, transmission and distribution of oil and natural gas. NMED and the EPA are working collaboratively and requiring Hilcorp to submit additional data on each of its oil and natural gas production facilities in New Mexico to determine its compliance. Hilcorp Energy Company has 10 days to reply to NMED and EPA. The California Water Resources Control Board has reached a $6 million settlement with Los Angeles County Metropolitan Transportation Authority (MTA) for alleged violations of regulations concerning storage of hazardous substances in underground storage tanks (UST) at 16 facilities owned by MTA. The State Water Board’s Office of Enforcement began an investigation in July 2015 under the Government Owned and/or Operated Tanks (GOT) initiative after alleged violations were identified during an inspection at one facility owned and operated by MTA. Concerned that similar violations existed at other MTA facilities, inspections were completed at the 15 remaining facilities by April 2016. Some of the alleged violations by MTA include failure to maintain secondary containment; failure to monitor product piping; tampering with leak detection equipment; operating without a permit; failure to maintain primary containment; failure to maintain spill containment requirements; and failure to maintain UST monitoring systems. Under the terms of the settlement, MTA will pay $2 million in civil penalties to the State Water Pollution Cleanup and Abatement Account and $67,050 for reimbursement of enforcement costs. Another $2 million will be suspended with the condition that MTA completes several enhanced compliance actions. The remaining $2 million will also be suspended as long as MTA maintains compliance with the underground storage tank requirements specified in the judgment for a period of five years. The GOT initiative is part of the state’s Underground Storage Tank Program, which seeks to protect public health and safety and the environment from releases of petroleum and other hazardous substances from leaking underground tanks. This lawsuit is the sixth enforcement action by the State Water Board’s Office of Enforcement against a public entity under the State Water Board’s Government Owned and/or Operated Tank (GOT) initiative that started in 2010 with the assistance of the EPA. The purpose of the GOT initiative is to ensure that violations associated with USTs owned by local, state and federal agencies are handled in a similar manner as violations associated with privately owned USTs. The Texas Commission on Environmental Quality is accepting applications for the Texas Emissions Reduction Plan Rebate Grants program to upgrade or replace on-road, heavy-duty diesel vehicles and non-road equipment to reduce air pollution from mobile sources. Up to $5 million is available for eligible TERP small businesses on a first-come, first-served basis. Small businesses that own and operate no more than five pieces of equipment, one of which is an on-road vehicle weighing more than 8,500 lbs. or a non-road piece of equipment with at least a 25-horsepower engine, may be eligible for rebates. Applications will be accepted until all funds have been awarded or no later than 5:00 p.m. on May 14, 2019.